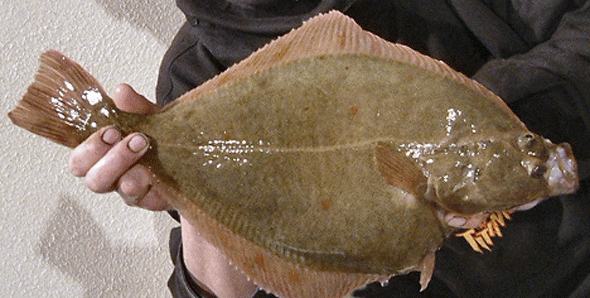 Do you know your plaice from your flounders from your dabs? 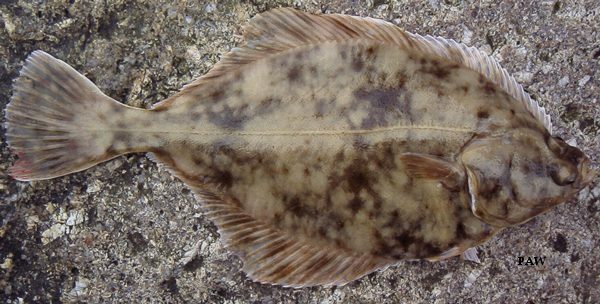 There are several ways to accumulate a successful ID of a flatfish, to start with, is a few things to look out for in plaice. Firstly look for the white protruded lumps behind the eyes, running along to the back of its head like in the picture below. 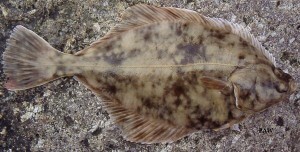 The plaice is often confused with the flounder as it can appear very dark and flounder can also have orange spots on them. 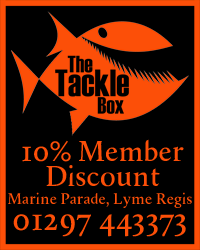 The picture below shows how dark a plaice’s colour can be and the picture above shows how one fish can vary so much from another. 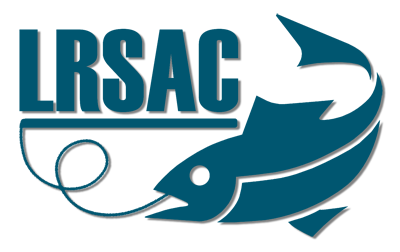 One final method is to run your whole hand across the top of the fish, one way, and then the other. 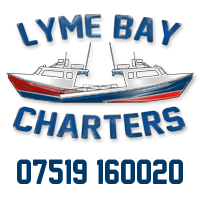 If it is smooth all over you will know for certain it is a plaice. The Flounder can also be identified using that method except if you feel its lateral line is rough across its back (this is the best method for ID), you will know for certain it is a flounder. 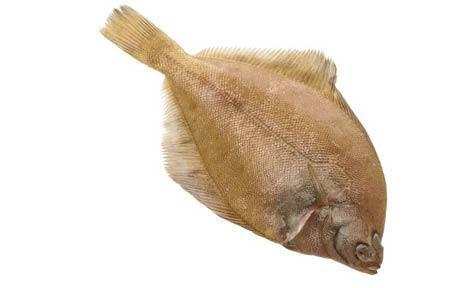 The picture below is actually of a flounder even though you can see orange spots and it is light in colour. That is why using the pale colour and orange spots is not the best way of getting a positive ID. The next picture highlights the colour variations. 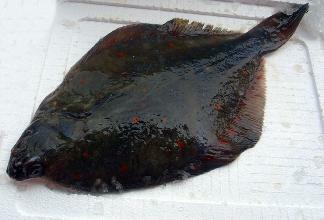 The Dab is probably the easiest of the flatfish to identify, except of course the Dover Sole. Again by feeling across the top of a dab you will feel that one way the whole body will feel rough, therefore getting a 100% ID. 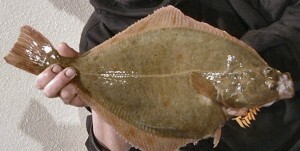 They tend to be paler than the Plaice and Flounder and usually a plain colour, unlike the first flounder above. However, as usual they do sometimes have variations. 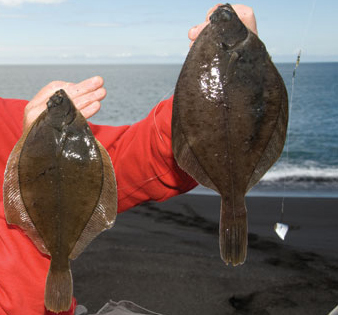 At first sight these might have seemed like flounder. 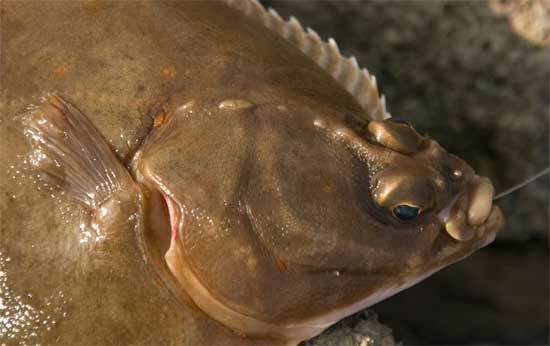 Plaice are smooth all over and 95% of the time have white bumps on top of their heads.